Salt of the Earth formed in 2011 as a partnership between visionary winery owners, Andrew and Laurel Quady, veteran Moscato winemaker, Michael Blaylock, and expert Moscato growers, Denis and Teri Prosperi. Their mission is to produce uncompromising Moscato for the very best value. Salt of the Earth wines are made at Quady Winery in Madera, California, home of the sweet wine specialists. 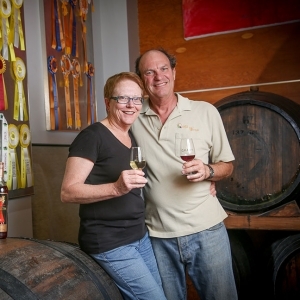 Andrew and Laurel Quady started out in the wine business 40 years ago in the heart of the San Joaquin Valley. They found that the climate of the valley was perfect for producing delicious Muscat, port, and vermouth, and they made a name for themselves with Quady Winery as the aperitif and sweet wine specialists. Andrew is known for new and daring ideas and the Salt of the Earth concept was his. 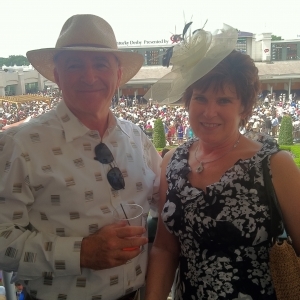 Laurel is an expert in accounting and winery financial management. In addition to managing the financial picture, the Salt of the Earth label is Laurel’s concept and execution. 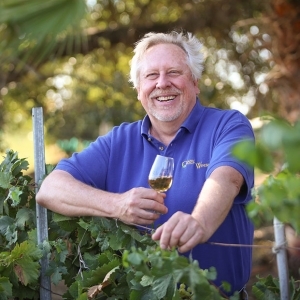 Denis Prosperi and the Prosperi family are experts in the distinctive Muscat varieties used in Salt of the Earth Moscatos. They’ve been Quady Winery’s primary Muscat growers for three decades. When it comes to growing Muscat Canelli, Orange Muscat, and Black Muscat, it’s hard to beat the dedication to quality found in the Prosperi family of Madera, California. Salt of the Earth wines come from a hot, dry valley where the grapevines grow lush and the fruit hangs heavy with sugar: California’s San Joaquin Valley. 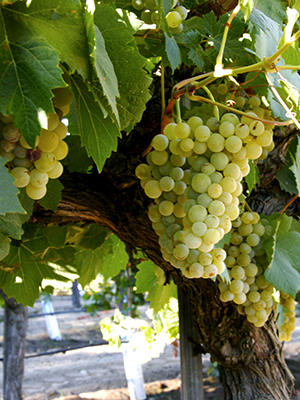 Moscato grapes are grown in a variety of soils that are remnants of a vast inland sea. Hot 95º days are just right for making sweet wines. Grapevines require less water than most crops and are well suited to an arid climate. The long summers ensure ample time to reach full ripeness before the fall harvest. The Valley boasts many new wineries and a thriving Madera Wine Trail. If you are in the Madera area, you can taste Salt of the Earth Flore de Moscato and Moscato Rubino at the ApCal tasting room off of HWY 99 near Madera, open 7 days a week. Visit the ApCal tasting room and you’ll see what we mean by the San Joaquin Valley way of life. Salt of the Earth wines are not available for tasting or purchase at Quady Winery, where Salt of the Earth is made. But, if you’d like to visit the winery, we are open for tours and you can taste and purchase Quady Wines, including the popular Moscatos: Electra and Red Electra. Check the Quady Winery tasting room hours for details on visiting. Salt of the Earth wines are versatile and fun! They deliver refreshing, distinctive muscat flavor and are value priced so you can serve them at gatherings large and small.Salt of the Earth is a group of individuals who have been working together to produce award winning sweet wines for over 30 years. They are using their expertise to highlight the down to earth character of California's San Joaquin Valley and produce moscatos of greatest value.